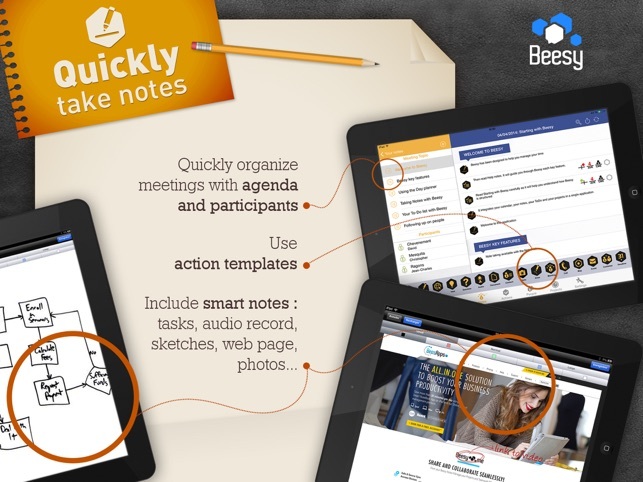 - Quickly take your business notes with your iPad. 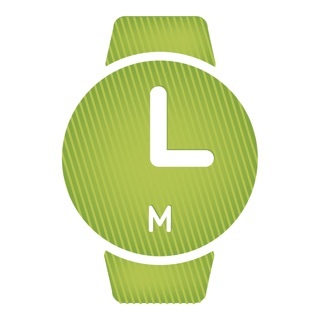 - Save time with easy professional meeting minutes. 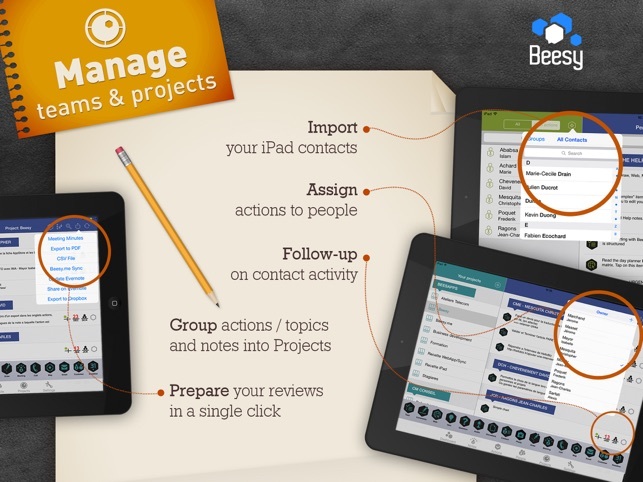 - Automatically Follow-up on meeting notes tasks in Beesy's To-Do manager. - Easily Manage Collaborative Projects. - any other position where using information from meeting notes is a time saver. 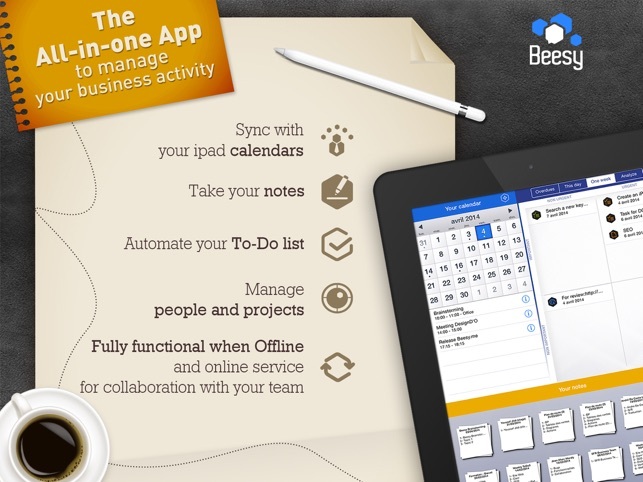 Beesy is a structured note taking app with an automated ToDo organizer, in sync with your calendars and address book. 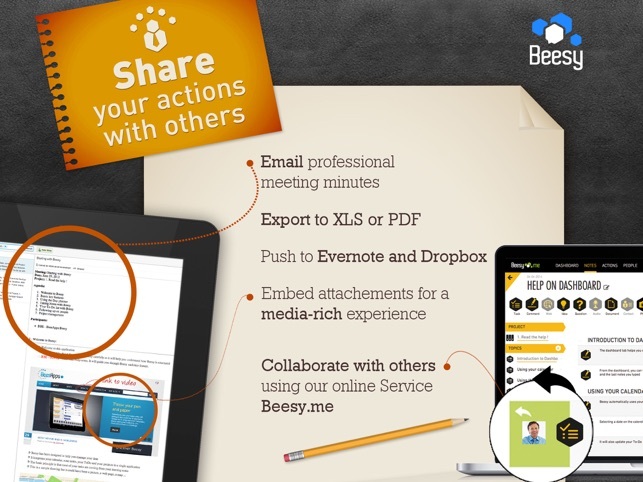 Beesy understands your notes, automatically generates To-Do lists and keep track of tasks in every meeting you attend. And it also aims at easily maintaining the information up-to-date: if during a people review, tasks are updated, it will show as well in every other view accessing these tasks. - EverNote export / update for notes, including audio, pictures, drawings, maps and web pages. - on-demand Task sub-filtering in any of the previous view with another angle. For example, for a given project, sort your tasks per contact. - two-finger drag&drop to assign tasks to different context: drag a task on a project, it will reassign itself to this project ... Works on people, meeting, topic, project. - Taking note on iPad is now contextual: everything you type in your note is automatically tied to the current context: contact / due date / project / meeting so that you can focus on the meeting itself. No need to set-up 20 different menus. - template based task: every note can be a task and derive from a template: action, send a document, call someone, idea ... For every type of task, pre-defined values for task configuration ensure that you don't have to worry about setting everything up during the meeting. - you can draw, access a web page or log a location. - Access your iPad calendar in the app and create a note from calendar, iCal, Outlook and exchange supported. 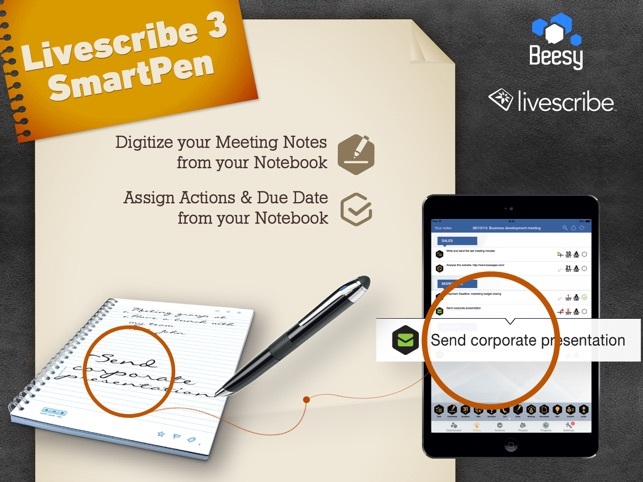 It will automatically try to find meeting participants and link your notes to your calendar. 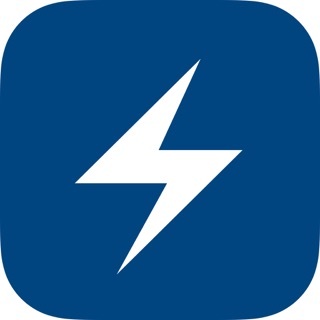 If you enjoy the app, recommend it ! If you have an issue with Beesy, please contact us using our support site as we have no possibility to answer your comments on the AppStore. - Reminders is available again so feel free to use it! - Ping a Comment to keep it during Recurring Meetings!! App use to work. Now I can’t sync with my reminders. I pay a monthly fee for this and it doesn’t work. I’ve invested quite a bit in this app and am very frustrated. Concerning the reminder issue, it's a bug from Apple's side. So far we can't do anything unfortunately. It is a bug about the Reminders Sync as you can read below. We hope this issue will be fixed in the next OS update. I bought the reminders and followed the directions and nothing! Worked on it for 2 days. I’d like to use the Livescribe pen but not until I get reminders going. I like the idea but I really want it to work with reminders and calendar!? And a bit worried the free version only allows 50 tasks?